CCE is where the New Automotive Industry gets business done, unveils groundbreaking products and makes strategic announcements in front of media from around the globe. 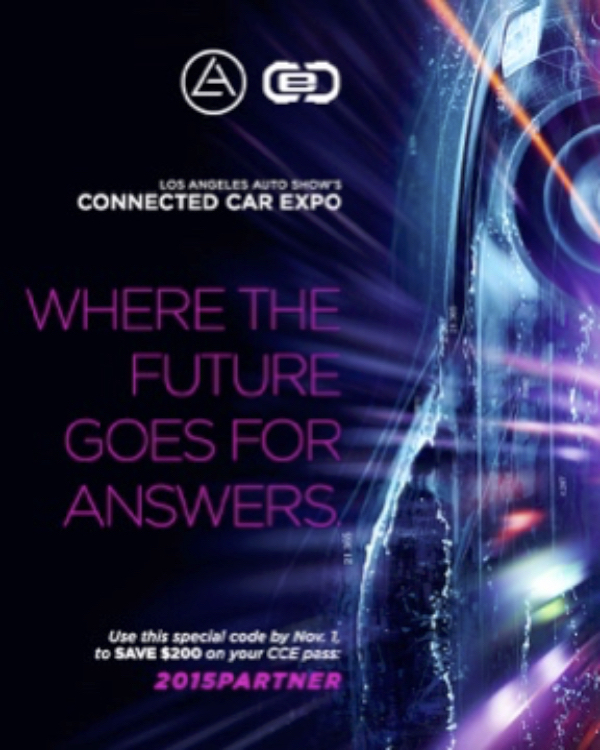 The first of three LA Auto Show Press & Trade Days, CCE 2015 will take place at the JW Marriott (across from the L.A. Convention Center) on November 17, where more than 30 expert speakers and 40 exhibitors will take center stage. Media may apply for credentials to attend both CCE and LA Auto Show Press & Trade Days; non-media WAJ members that register by Nov. 1, can use special code 2015PARTNER to save $200 on any CCE pass.